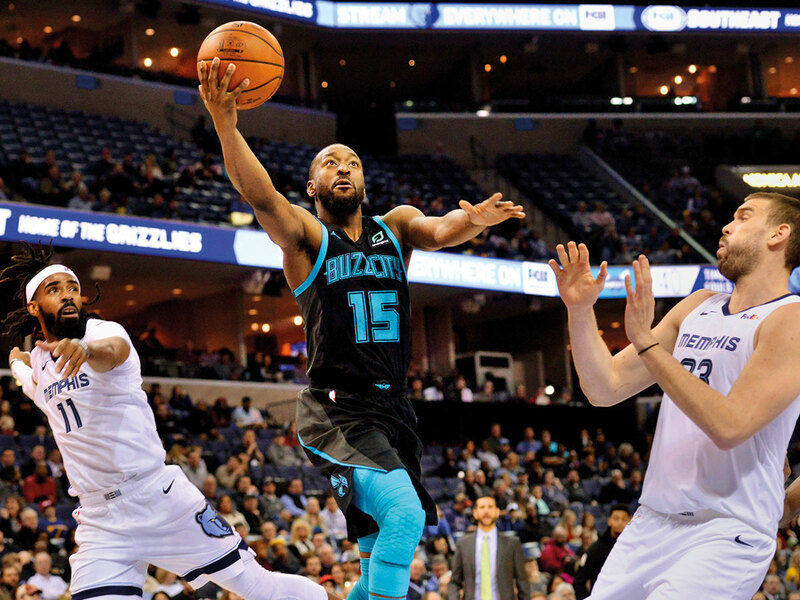 Charlotte: Kemba Walker scored 23 points, Marvin Williams hit two key 3-pointers and Bismack Biyombo swatted away a pair of late shots as the Charlotte Hornets beat the depleted Memphis Grizzlies 100-92 Friday night. Memphis suited up just 10 healthy players and was minus star Mike Conley, who sat because of soreness in his left knee. Starters Kyle Anderson and Jaren Jackson Jr. also were sidelined. Malik Monk, who scored 14 of his 20 points in the fourth quarter, had two 3-pointers in the period. The Hornets were shooting just 36.8 per cent from 3-point land through the third quarter. Biyombo had just one point but made a difference on the defensive end. The 6-foot-9 centre blocked JaMychal Green’s dunk attempt with 1:48 to go and swatted away a layup attempt by Shelvin Mack 20 seconds later. Biyombo finished with seven rebounds and three blocks.